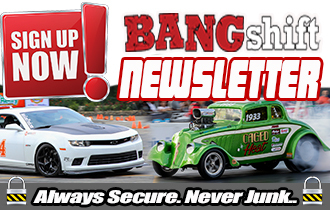 So often we hear about those heady days of yore in drag racing where a guy could just build something and go race it. 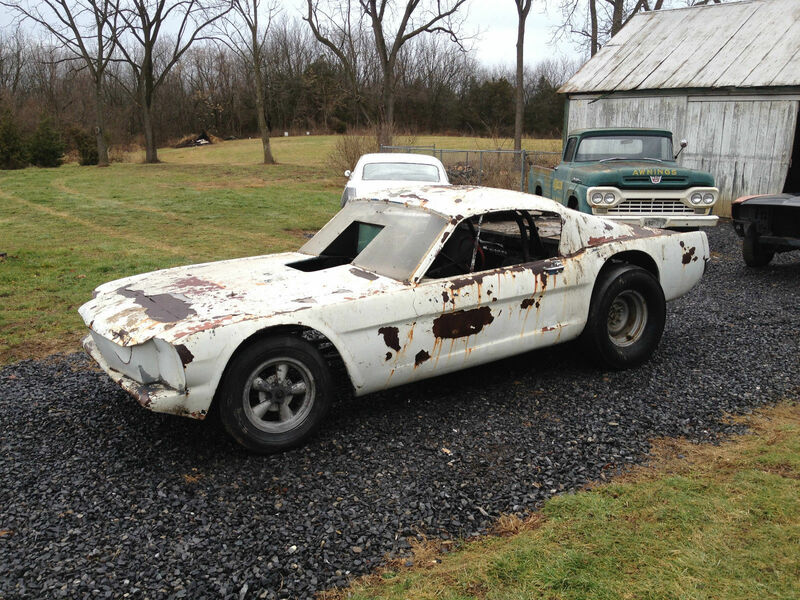 Well, here is the physical embodiment of that time period in the form of a homebuilt, 1965 Ford Mustang funny car with a steel body! 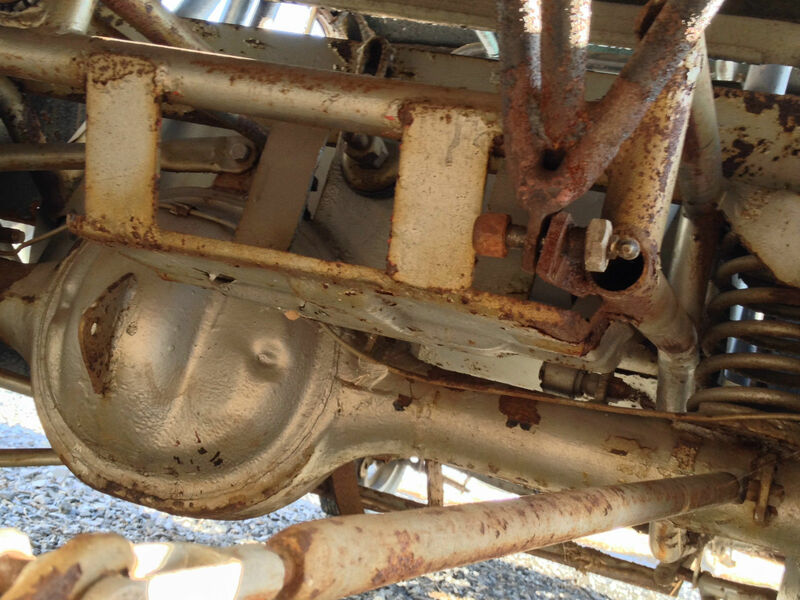 If you think we are kidding about the steel body, last time we checked fiberglass doesn’t rust and this thing has some real weepers on it so it is absolutely not someone blowing smoke. The car was run as an injected machine, first with a Chrysler hemi and secondly with a boss 302 that sported stack injection as well. 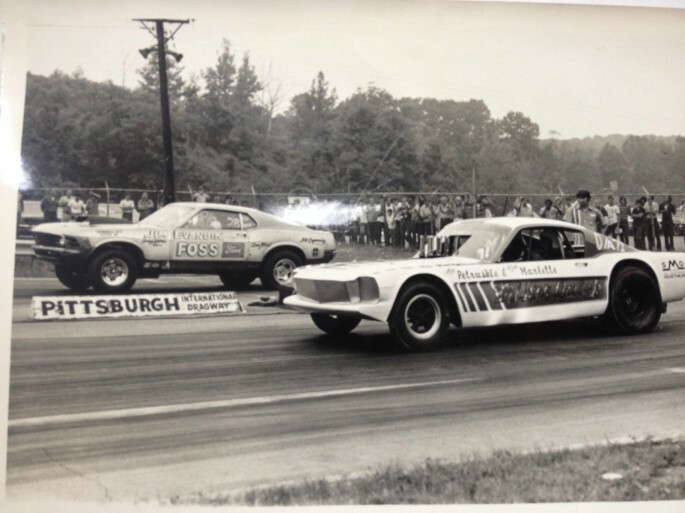 The car was campaigned around the Pittsburgh area and as you can see from the photos was typically classed in the altered category. 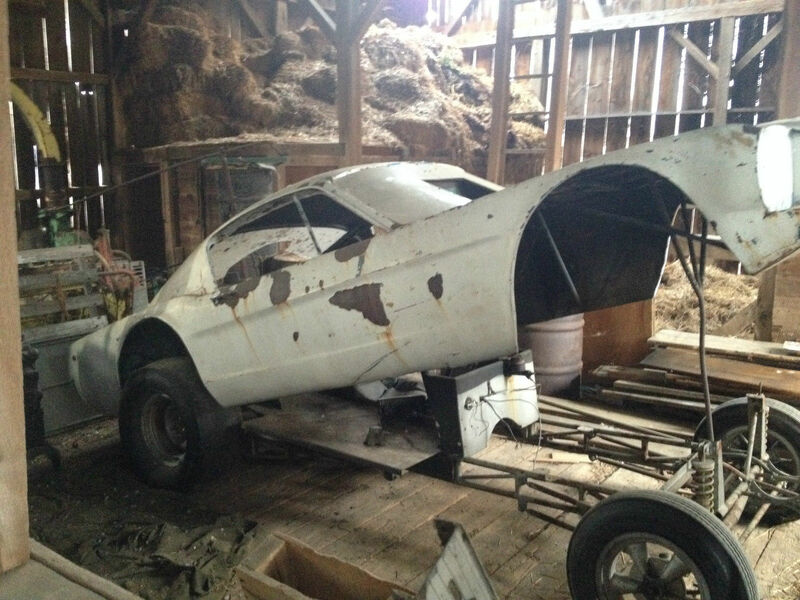 While this was not the only steel bodied flip-top funny car ever built, it is the only one we have ever seen for sale on eBay basically intact from the time it was raced. You’ll notice in the photos that the car changed over the years. According to the eBay ad, Bob Jones and Len Petruskie were the first pair to race the car with the hemi in it and the second pair was Rick Marlette and Len Petruskie who modified the car to sit a full three inches lower. It was this pair that added the injected 302 and four speed combo. 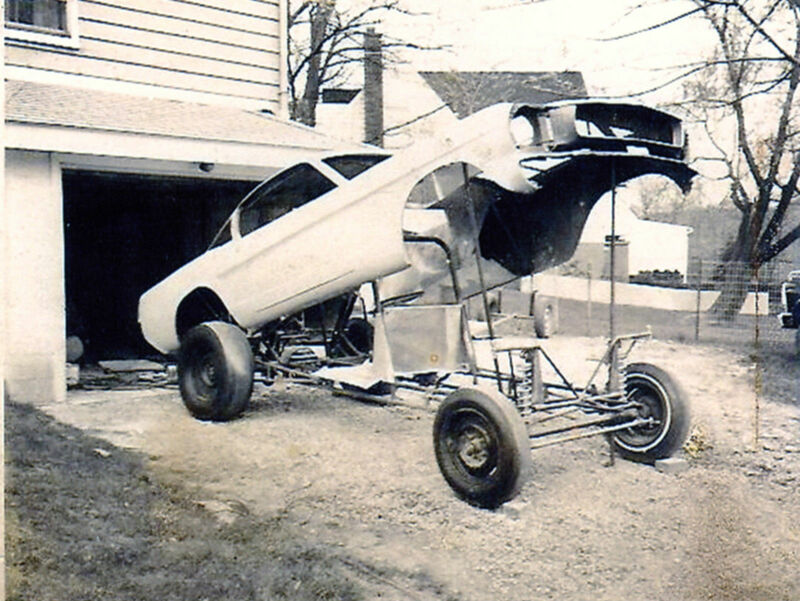 You can see from the photos below that the car was of very basic construction like all funny cars were at that time. The chassis has a lower budget Logghe brothers feel to it and the thing must have been a real handful to drive with one hand on the wheel and the other on the shifter while the little 302 wound to the moon between BangShifts. 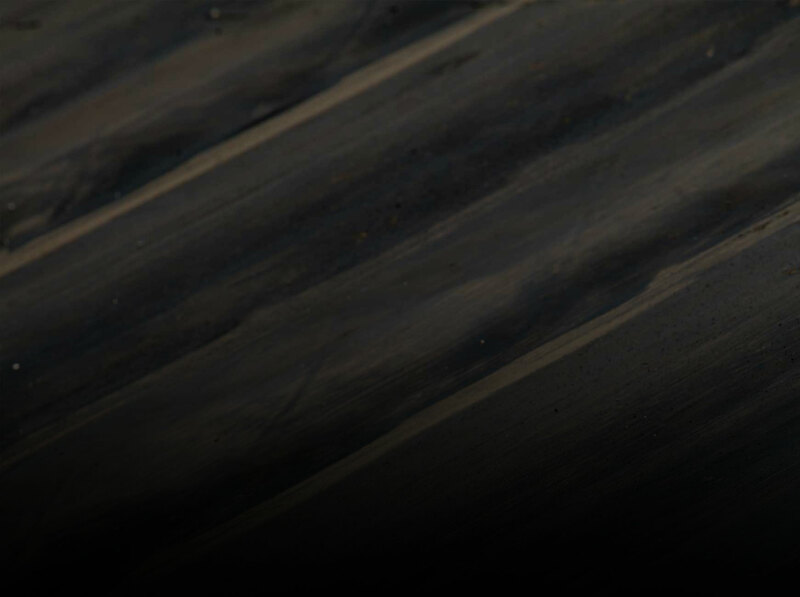 You know that we love the little guy around here and this is a chance to buy one of the great little guy drag racing artifacts in the world today. If we bought this thing it would go back to the original paint job and we’d do our best to put the thing back to injected hemi power. We’d also be hiring a crew guy to help us lift that steel body. Boy, oh boy does this thing rule! Update: There is some question from a couple of experts as to whether or not this is the car that the seller is claiming it is. Being that we are simply going on the photos provided by the seller and these guys have way more information available, we give credence to their suspicion. Bottom line here is (as always) buyer beware! Thanks for the tip Scott Brown! SCROLL DOWN TO SEE MORE OF THIS AWESOME STEEL BODIED FLOPPER AND THE LINK TO THE EBAY AD! Lenny built that car in his 1 car garage, little known history on the body it’s a 1966 Hertz Shelby Mustang Lenny bought the car from a insurance junk yard it was a total loss due to a fire. I put a few Hr’s in on that car welding some of the frame & rear end brackets. Holy crap, that is awesome! Thanks Mike! And here I thought all the steel body cars had met the crusher by now. It’s cool to that at least one is still around. 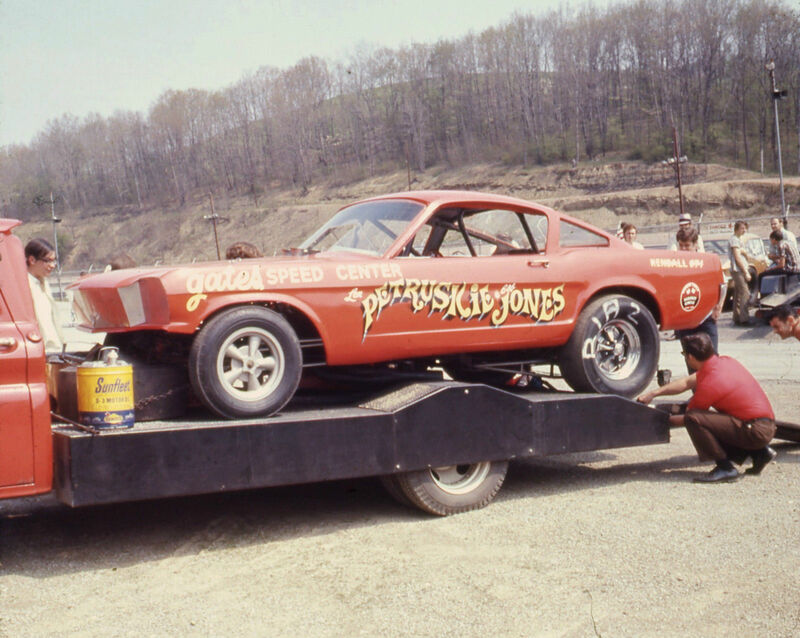 Those were the days when funny cars at least had some resemblance of what ya could by out of the showroom. For $8500, thats a bargain for a piece of history! 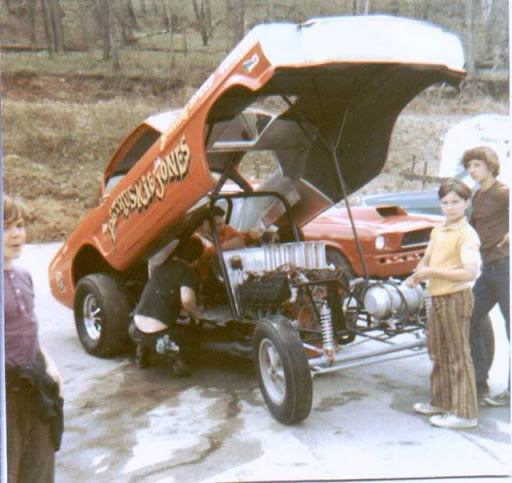 Here’s another pic of the car, I think that’s Steve Matusek in the yellow shirt. More Pix here in my Album from PID. That needs to be brought back.Any drag racing museum want it? I think it would still draw a crowd. 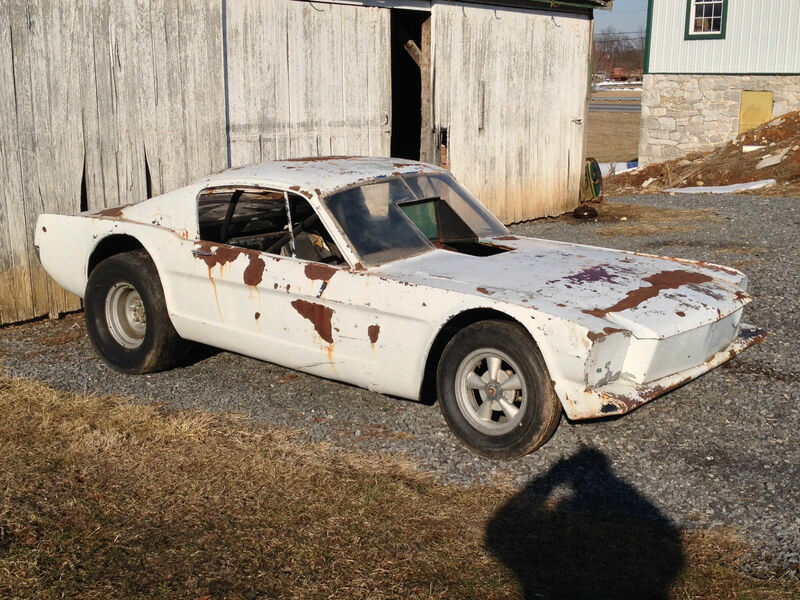 I’d be honored to be in on that restoration – awesome find!